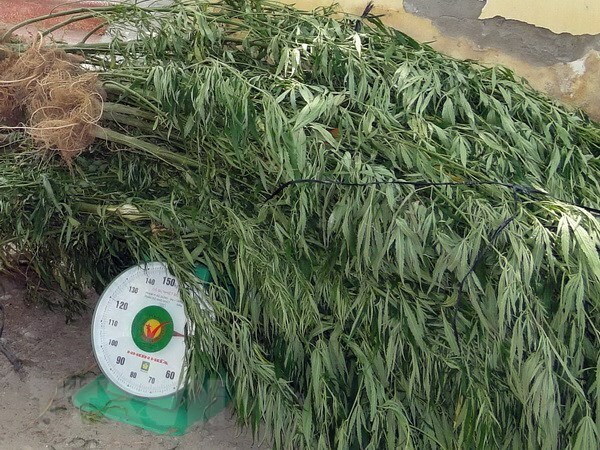 Dak Nong (VNA) – Police of Dak Glong district in the Central Highlands province of Dak Nong on March 5 uprooted nearly 7,300 marijuana plants illegally being grown in Dak R’Mang commune. Nguyen Van Minh, head of Dak R’Mang commune police, said the plants were cultivated on about 5,500 sq.m. The area, 20km from the residential area through jungle, belongs to Nguyen Duc Ha, a resident in Dak R’Mang commune. Ha rented the area to a person of unknown gender called Diep, who has since fled, about four months ago for farming.